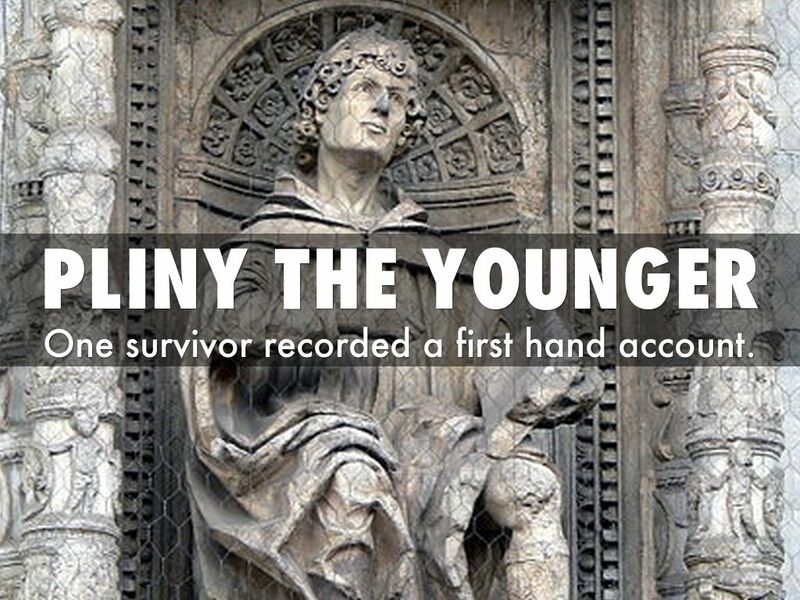 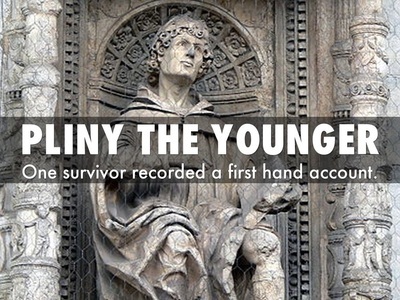 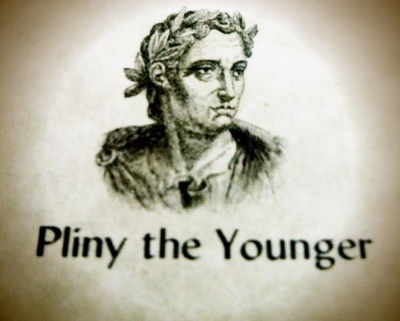 Orphaned as a child was entrusted to the care of his maternal uncle Pliny the Elder from whom he inherited all the assets. 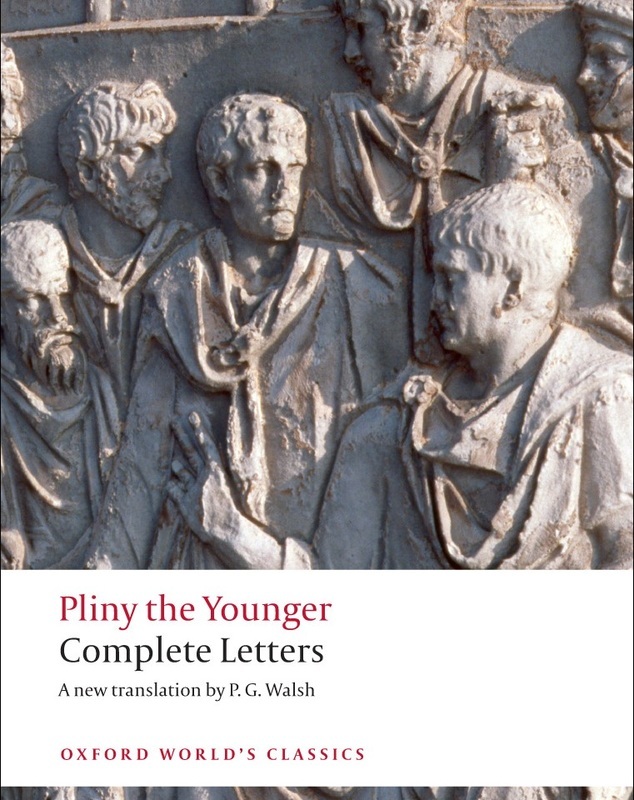 He studied in Rome and devoted himself to the studies of rhetoric; he held several political offices and had a brilliant career. 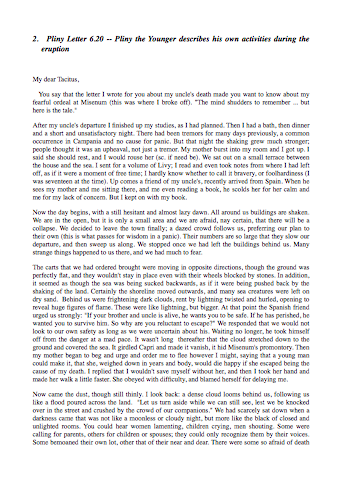 It was his habit to write letters both private and public, thus maintaining the required contacts from his position as a diplomat. 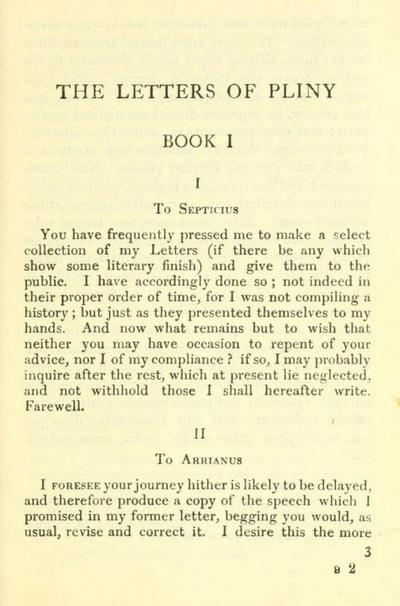 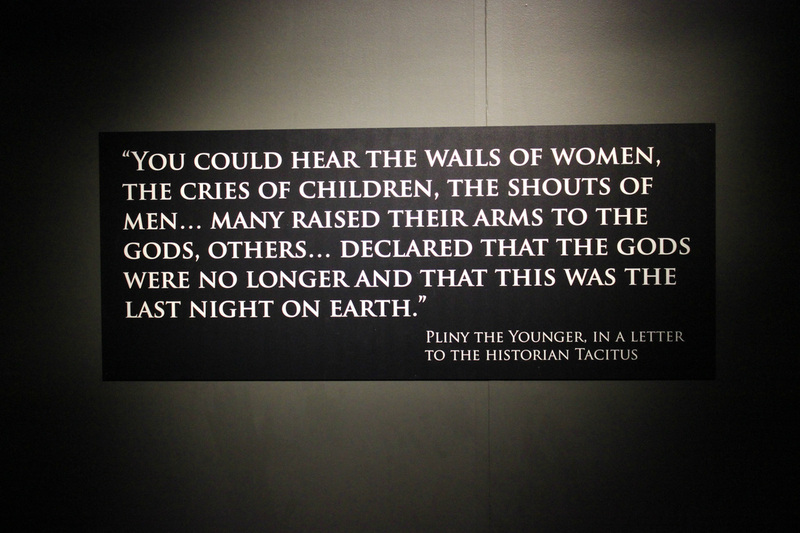 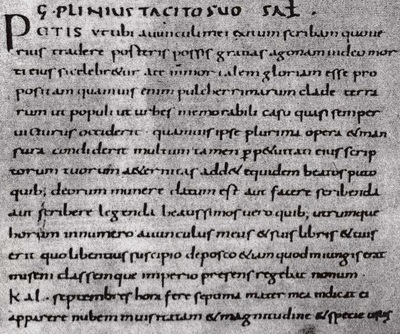 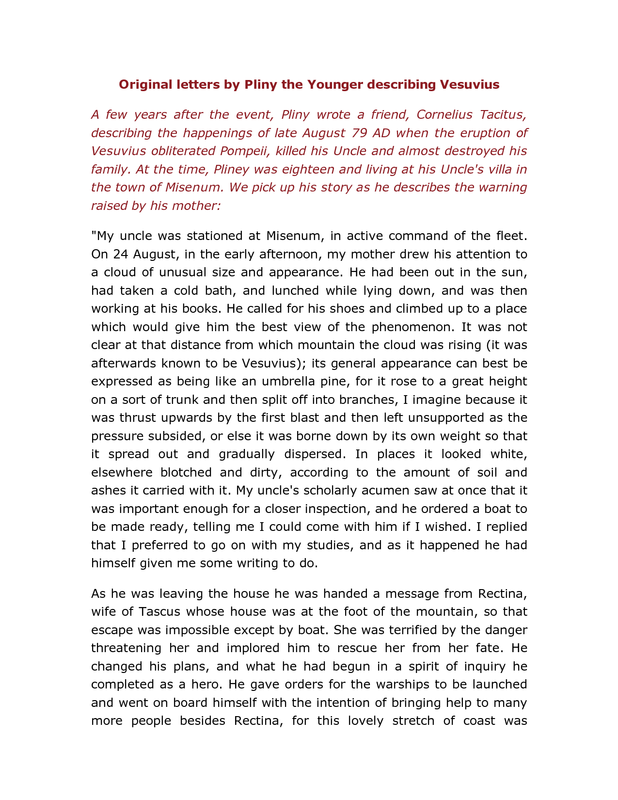 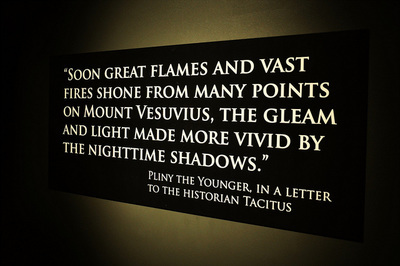 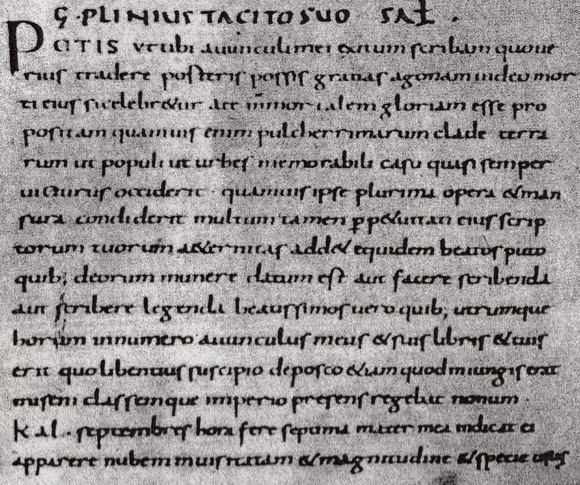 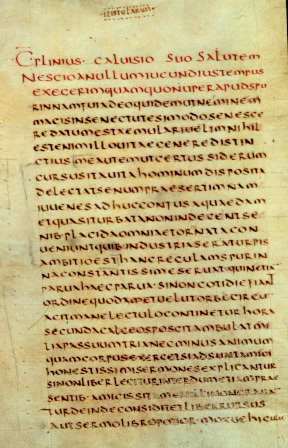 In 79 d. C. witnessed the eruption of Vesuvius that took the life of his uncle Pliny the Elder, and thanks to his testimony coming down through the letters written to Tacitus, it was possible to reconstruct in detail the volcanic eruption. 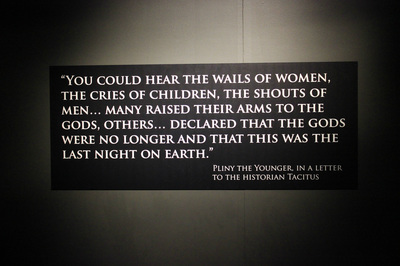 Cornelius Tacitus (55 - 120 d. C.), historian, orator and senator of Rome. 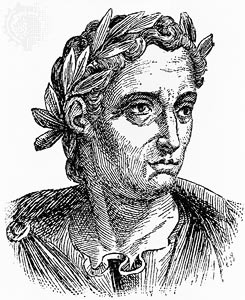 His major works, the Annales and the Historiae, placed him among the greatest historians of the Roman period. 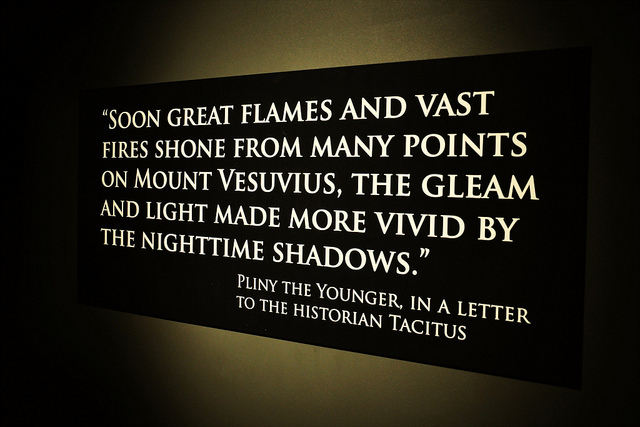 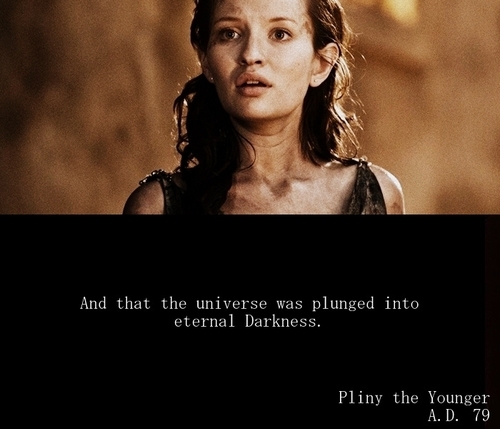 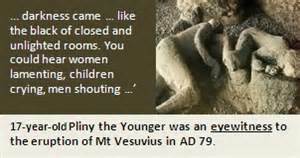 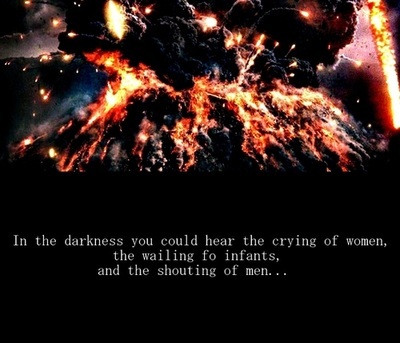 He was sent two letters of Pliny the Younger, nephew of Pliny the Elder, with the description of the eruption of Vesuvius in 79 AD. 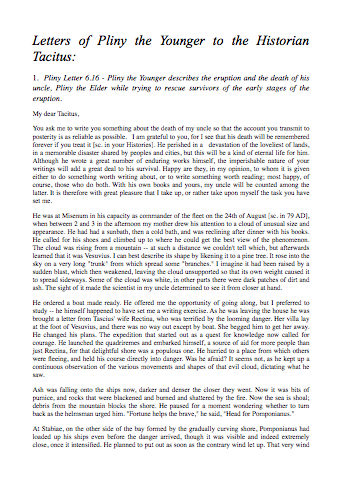 C. and the death of his uncle. 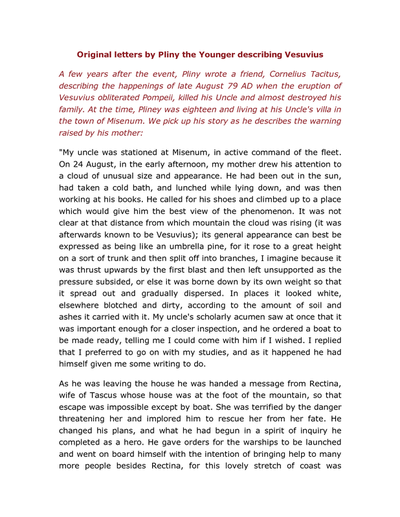 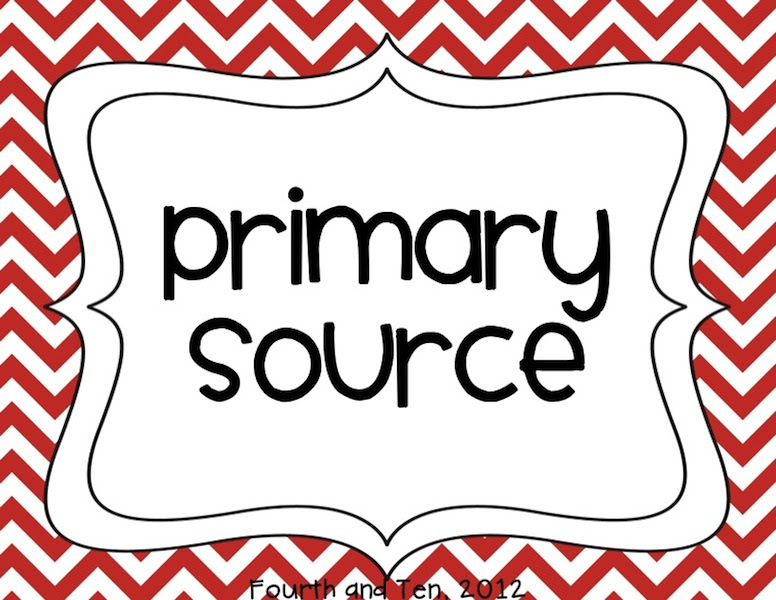 Precious historical documents as well as fundamental from the point of view volcanology.